Distance: 0, Pedalin, Pedalin, Stretchin, Liftin, Etc. Figuring the theater would be empty and suitable for her immobilizer Ciwt got up at the crack of dawn to go to an early movie yesterday. 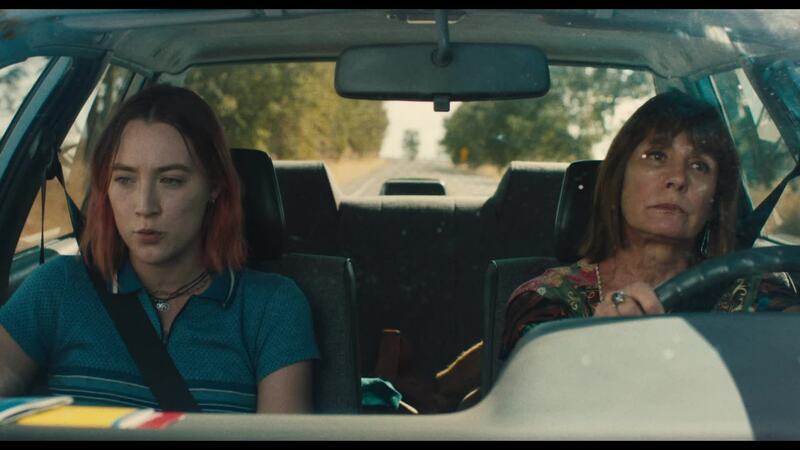 It's a mother and daughter/coming of age affair by an excellent actress, now writer-director. Not Ciwt's usual draw, but it had a Rotten Tomatoes score of 100 which is quite unheard of and also gave Ciwt a much needed excuse to make a 2 mile round trip. (Too bad it can't be a 10 mile hike because limited exercise is by far the hardest part of being injured for Ciwt). She thought the movie was flawless (Delightfully watchable acting, quirkyand lively script, strong music choices, excellent cinematography) - and also kind of missable in a middlebrow way if you don't happen to get to the theater. What does Ciwt mean by missable? Well, it's a nice movie, very polished and well acted where just what you think is going to happen does in a very nice way. But to Ciwt 1st Ever 100% Rotten Tomatoes rating suggests something exceptional, edgy, thought-provoking; something other than sweet, nice and predictable.